Prep pad forms skin protection against microbes until the solution is washed from the skin. Prep pad is saturated with a 10% PVP-I. 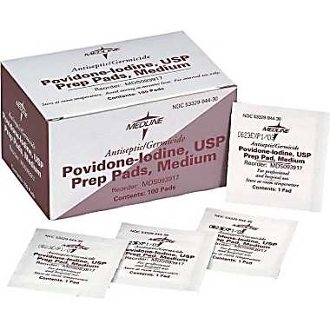 Povidone Iodine is a broad-range antimicrobial that kills bacteria, fungi, viruses, protozoa and yeast.